BROWNSVILLE, Texas (AP) — Two rare endangered tropical birds named Petey and Millie have a new home at a South Texas zoo. Officials with the Gladys Porter Zoo in Brownsville have announced the rhinoceros hornbills are now on display. 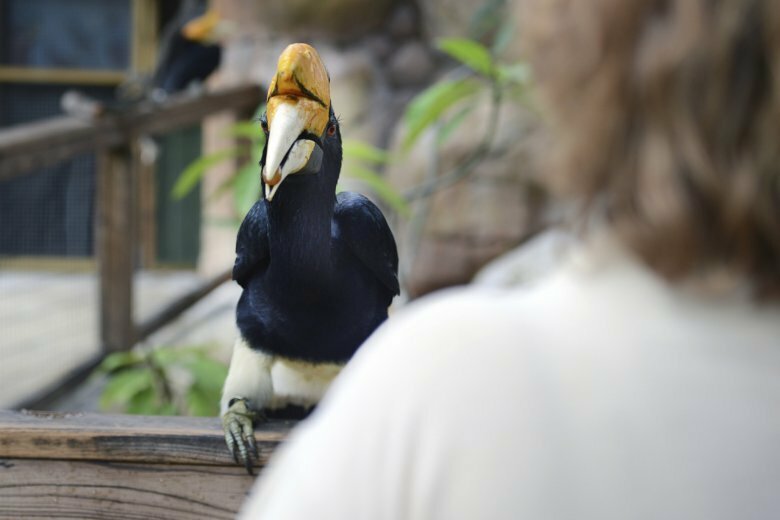 Officials say it’s been 45 years since the zoo had any rainforest-dwelling rhinoceros hornbills, known for the hollow horn-like feature above their beaks. The Brownsville Herald reported Monday that the male and female birds were provided by the Sacramento Zoo. The pair arrived Oct. 27 at the Gladys Porter Zoo and spent time in quarantine before settling in at the Indo-Australian Aviary. Associate curator Natalie Lindholm says the Gladys Porter Zoo is getting back to working with some exotic species that haven’t been at the facility in a number of years.